Fun alone and even more fun with a friend, the Hobie Mirage Outfitter Tandem Kayak is the ideal all-day boat. The design brief was simple: to create an easy-to-use, performance-minded, rotomolded polyethylene kayak that would provide years of reliable service. The Outfitter includes the Mirage Drive 180 for hands-free propulsion in both forward and reverse and the Vantage CT seat which has 3 height options along with the ability to recline the seat back. 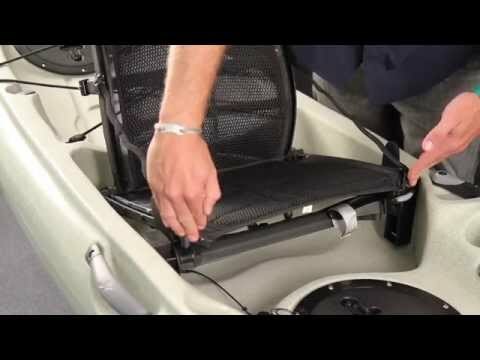 Built-in drink holders and utility trays, dual helms and MirageDrives - plus a mast step for the optional Sail kit - give the Hobie Outfitter serious legs, and the boat's wide beam, relative to its tidy length, delivers a stable, stowable and comfortable platform. 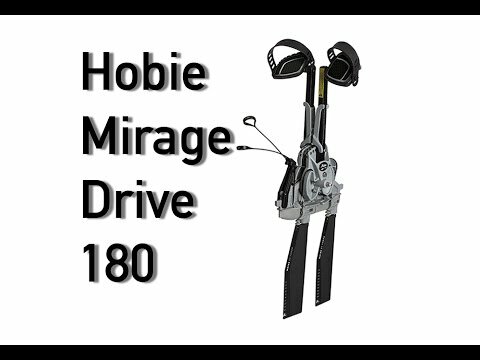 I purchased my Hobie Mirage tandem fishing SeaKayak back in 2003. 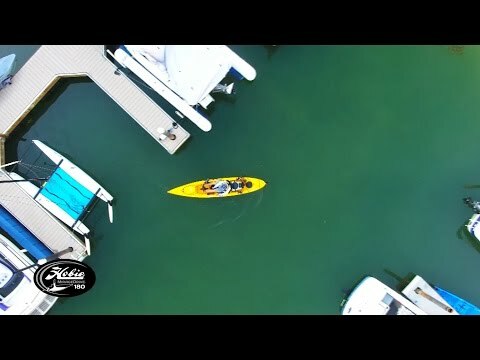 From off the beaches of North San Diego County to ponds in AZ and back home in the lower Florida Keys and the Backcountry, there is no better Sea Kayak. I can paddle it, sail it, or peddle it. I have hooked fish that have pulled me along while sitting side- saddle. Great way to tire out those fat groupers. Like anything else, one must inspect and maintain this SeaKayak. My wife and I have just installed an under hull LED lighting element and it's fantastic for cruising out at dusk and high tide when we saw a lot of fish in our Canal. We have rolled the SeaKayak due to wind/waves or power boats being way too close. Everything needs to be tied down and you need to practice the skill of getting back aboard. It's fun when my wife and I go "smokin' " by young "Buff" people. The looks on their faces-What?? A grannpa and gramma just SMOKED us !! Funny. Bought the outfitter back in 2008. It has been an outstanding and versatile vessel. We use it as a ministry resource so we have let many people use it. It has held up wonderfully. I used it for fishing and recently I have discovered it is great to sail with. My wife also loves it and we spend many hours together on it. Great watercraft investment. It's amazing! I've found a new sport that I can enjoy with the entire family. It's very stable, comfortable, and simple to use. When using the sail, it would be better to have the longer rudder as steering is somewhat difficult with the standard rudder. We're new to kayaking but have had this model for over a month and have not missed taking it out once since we got it even though it's February! Very user friendly and extremely versatile. So far we've had it the gulf, bay, harbor, creek and river. Cuts right through wind and current easily. We're having a blast with this kayak and it's worth every penny spent. The outfitter arrived as planed and we unpacked it , we put it our lake for our test run and found out that we could not turn the boat to the left. After playing with the rutter control it sounded like it was hitting something inside the boat. I called Hobie and talked to some very young man and he said to return the boat to the place where i had bought it but that was impossible.. he said it sounded like the pulley system was out of adjustment , I asked why it wouldn't have been checked out before shipping from the factory . no answer so beware the rutter control may not work . Your not going to win any races in this thing, but for its intended purposes it is a great yak! Perfect stable platform for fishing hunting or just cruising around. Stable, dry ride. Well thought out features and construction. Did I mention stable? Got caught in a few larger swells and never once felt nervous. Would have liked to see a few more grab handles to assist in loading and unloading since it is on the portly side. Tip: Fully loaded with gear this thing is heavy and awkward to carry more than 10ft, a strong set of wheels is a must. What can i say about the mirage drive system that hasn't already been said? They are simply awesome. The fact that I have already used this craft more times in 2 weeks than my fishing boat in 2 years should say it all. Hobie rocks! Perfect! Durable and quality product; everything works as advertised. Just right for two of us, but equally comfortable for one. Mirage drives are awesome for a full body workout when combined with equal amounts of rowing. Easy to get in and out of the water as well. It's just what we wanted--a way to get out on the lakes without the bother of motors and trailers. Very well engineered and built--stable and maneuverable in the water--plenty of speed with minimal effort. Outstanding drive system--lots of room for two people and their gear. We will also use it on rivers with the pedals removed--I expect it will excell. Hobie got this one right! Now that we have had it for a little while, we REALLY enjoy it. We fish all the time now, it is great exercise, and the peace and quiet is cool. It is so easy to maneuver and load, we want our friends to get one and join us. Hats off to HOBIE!!!! My wife and I took our Outfitter out today for the first time, we love it. It is perfect for fishing, and easy to transport, get in the water.We are in our early 50&quot;s and this is just what we were looking for, we have 3 lakes within 10 miles, an easy way to get in the water and great exercise. Hat&quot;s off to HobieCat on this one!!! This kayak is so much fun! I am somewhat disabled but am able to enjoy this adaptable vessel. My husband loves the pedals and rarely uses a paddle while I do better with the paddle and sometimes use the pedals. Of course, there is also the sail. I wish there were footholds for when I don't put the pedal unit in but we're working on that. We are both glad that we made this purchase.